Integrity is a key ingredient of trust: If your team can’t predict how you’ll behave with relative accuracy, they will feel uneasy. Dr. Tasha Eurich is an organizational psychologist, researcher, and New York Times best-selling author. She is also the founder of the Eurich Group, where she’s helped thousands of leaders and teams improve their effectiveness through greater self-awareness. Her first book, Bankable Leadership, debuted at #8 on the New York Times best-seller list, and has since become a popular resource for managers and executives. She holds a PhD in Industrial-Organizational Psychology from Colorado State University and BAs in Theater and Psychology from Middlebury College. 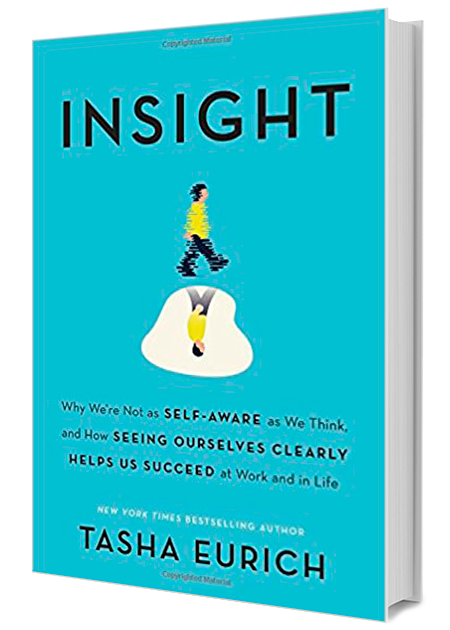 Her most recent book is Insight: Why We're Not as Self-Aware as We Think, and How Seeing Ourselves Clearly Helps Us Succeed at Work and in Life. A psychologist’s strategy for handling the maddeningly un-self-aware people in your life. Sign up for Tasha Eurich newsletter, and more.